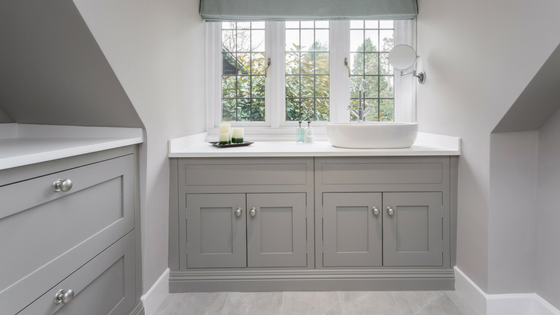 Burlanes design and create bespoke, handmade furniture and interiors of the highest quality. All of their furniture is handmade and painted in their Kent workshop, by skilled carpenters and craftsman. 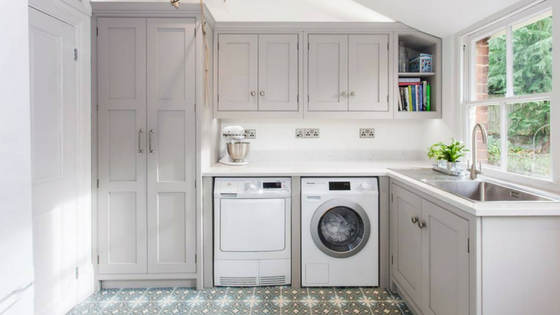 Burlanes offer a totally bespoke service from freestanding kitchens, bespoke bathroom design, home offices, and smart storage solutions. Ca’ Pietra caught up with the high-end interiors led designers to talk about kitchen design and trends. What makes a kitchen that has been designed by Burlanes so unique? Can you identify it from others? We pride ourselves on designing totally bespoke and unique kitchens, to suit the needs and lifestyle of our clients’ home. As designers, we work closely with the client to design their dream space that ticks all of their boxes. A Burlanes kitchen can be identified by its high quality; from the ethically sourced materials and wood of the highest quality, the paint (Mylands, London’s oldest paintmakers), our subtle use of colour throughout the room, our top quality iron mongery and handles, and of course our use of beautiful Ca’ Pietra stone and tiles. When our clients invest in a Burlanes kitchen, they are purchasing so much more than just that. We are very proud of the level of customer service we offer, as well as an entire interior design package. Can you tell us a little more about the process of designing a kitchen. What’s involved? Creating a totally bespoke kitchen means that each and every project we work on is different. We always start by listening carefully to what our clients want, their brief, and whether they have the structure and available space to make it possible! Sometimes, rules & regulations and legal requirements may cause a bump in the road of our client’s dream space, but we always provide alternative solutions if something is not possible. We work closely with the client every step of the way. Sourcing everything for their dream space, from the paint colour and the cabinet handles, to the kitchen appliances, lighting, flooring, wall tiles and even accessories. Is there a particularly exciting or challenging project you have worked on recently? We have recently completed an home refurbishment project at a beautiful family home in Tonbridge, Kent. 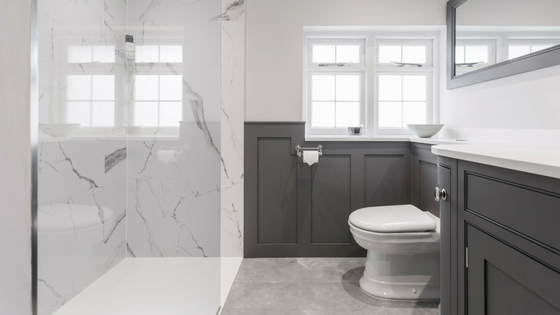 This project included a master dressing room and en suite, a guest bedroom and en suite, a child’s bedroom, a family bathroom and a utility room. We worked closely with the client to chose colour schemes, furniture design, sanitaryware, tiles and flooring. The result is simply stunning. The guest en suite was the most challenging room, as it was originally a nursery. We had to move the door of the room, as well as lay water and waste pipes, as originally there was not running water at this side of the house. We used Ca’ Pietra tiling throughout, and the client is so pleased with the look and quality. If someone was reading this and was about to begin their own kitchen design project, what would be your best advice to them? Everything we design and handmake is bespoke. Our kitchens are totally unique to our clients, their homes and their lifestyles. We would advise clients to visit one of our showrooms for interior inspiration, and to chat with our design team! Be open and honest with your kitchen designer. Ensure that all of your needs are met, and that your kitchen suits your lifestyle perfectly. How excited are you about the rise in popularity of encaustic tiles and the possibilities they give to design projects? 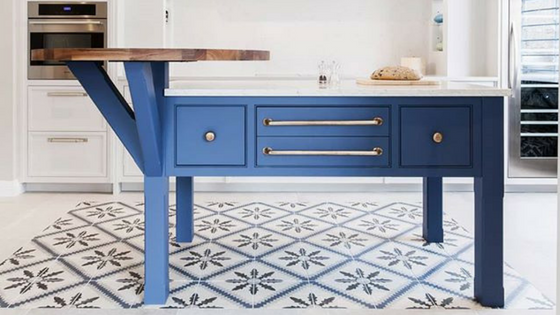 This year, encaustic tiles are set to be a huge trend. We absolutely love the life they can bring to a kitchen! Encaustic tiles can add a pop of colour, and can really bring out and accentuate a paint colour too. After a few years of the grey and white trend, we are so excited for the sudden influx in colour requests for kitchen design! 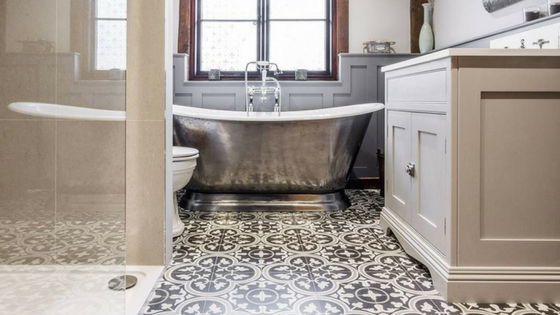 We also absolutely love the charming period look encaustic tiles can bring to our traditional style furniture, alongside the fact that they are timeless, and very durable!